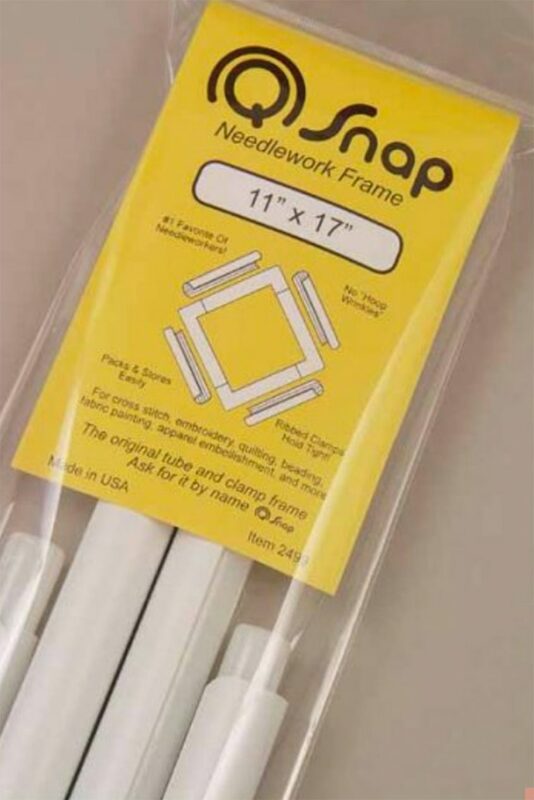 The Q-Snap frame is a unique method to hold fabric taut while stitching. Four plastic C-shaped clamps hold the fabric onto the four side bars. The tension is easy to adjust, so you have a smooth stitching surface around entire frame without “hoop wrinkles”. The Q-snap frame comes apart in seconds to store or to carry in practically any tote. Available in 8″x 8″, 11″x 11″, & 11″x 17″, please choose from drop down menu.